Baking enthusiast Erica qualified as a chef in 2000, and has always had a passion for making cakes. Despite this, she has had a very mixed background: having worked in finance and as a project manager: skills that she felt would boost her chances of setting up successful businesses. Despite Erica’s love of the product, this company isn’t just about cupcakes – although the website boasts the standard range, liqueur cupcakes, seasonal varieties and giant cupcakes. Erica and the team also provide cheesecakes, large and layer cakes, brownies, biscuits, truffles and various desserts. Amongst business customers, the Carrot & Walnut Layer Cake is apparently the most popular, whereas the Lollipoptastic cupcake is the biggest hit with the public. 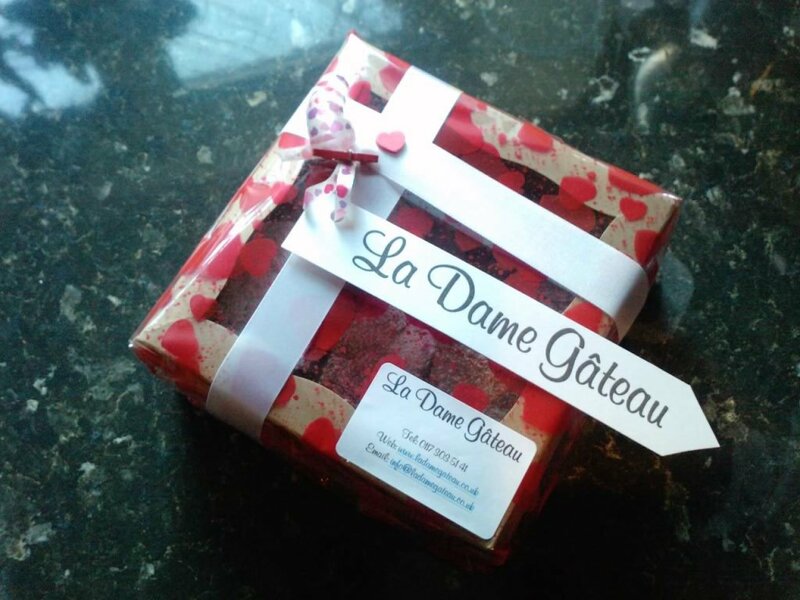 I’ve been lucky enough to sample a selection of cupcakes and chocolate brownies from La Dame Gâteau, and can honestly say that they’re the best I’ve had in Bristol to date. They’re baked fresh, all have a different sponge mix to match the topping, and can be modified for any special dietary requirements. 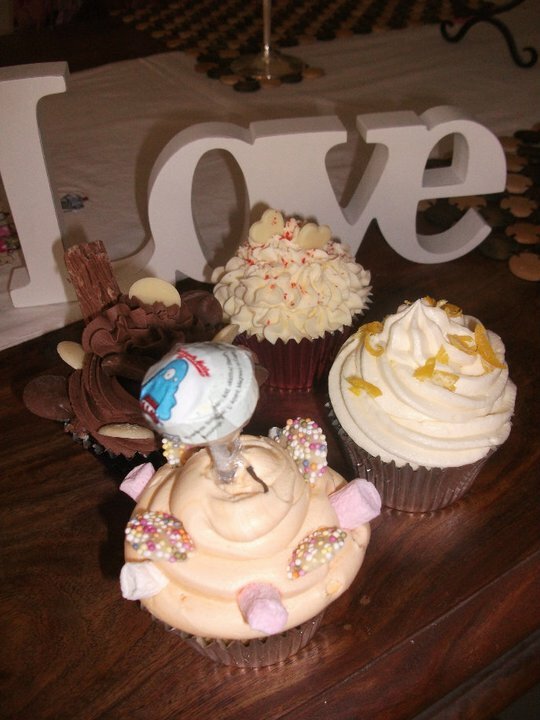 My selection included a Choca-cali-fragilistic (triple chocolate sponge with a chocolate velvet cream, chocolate buttons and a Flake) and a Lollipoptastic (vanilla and white chocolate sponge with marshmallow icing and a lollipop! ), among others. All of the cups were fantastically moist, with the most generous layer of icing I’ve ever seen! Kept in an airtight container, they’ll keep for a good few days as a minimum. The packaging seriously impressed me too – see below for an example. Perfect as a gift for friends and family! As previously mentioned, La Dame sell to both the public and to business clients. They also provide cupcake displays for special events, and can produce corporate cupcakes too! All products are hand-delivered once ordered – a great personal touch.